“Strike the War” in disguise to lower the limit of purchase restrictions How do the prices of these cities go? Under the slogan of "Room and Do Not Stir", any policy related to the regulation of the property market can provoke the nerves of the market. The National Development and Reform Commission issued a document on April 8th that the type II large cities with a permanent population of 1 million to 3 million in the urban area should completely cancel the restrictions on settlement. The large-scale I-type cities with a permanent population of 3 million to 5 million in the urban area should be fully open and wide. The easy availability of household registration means that the purchase restriction policy is no longer an insurmountable “gap”, and more people become potential buyers who hold “room tickets”. China has more than 70 urban areas with a permanent population of more than 1 million, including one or two lines and major third- and fourth-tier cities. These cities are also the main areas for property market restrictions. The industry believes that the relaxation of settlement conditions can promote the free flow of population and better support local economic development. However, the property market regulation and control results in the past two years have not come easily. It should be noted that the property market will be incited after the disappointment of restrictions and purchases to prevent housing prices from rising again. According to the National Bureau of Statistics, at the end of 2018, the urbanization rate of permanent residents in mainland China was 59.58%, the urbanization rate of household registration population was 43.37%, and the population separated by nationals was 286 million, of which 241 million were floating population. The urbanization rate of the resident population and the registered population is very different, which is a significant sign in the process of urbanization in China. Since small and medium-sized cities and small towns with a permanent population of less than 1 million in the urban area have successively cancelled restrictions on settlement, the National Development and Reform Commission’s "Key Tasks for New Urbanization Construction in 2019" (hereinafter referred to as "Tasks") issued by the National Development and Reform Commission on April 8 will focus on household registration reform. Focus on several major cities. The "Task" requires that the type II large cities with a permanent population of 1 million to 3 million in the urban area should completely cancel the restrictions on settlement; the large-scale I-type cities with a permanent population of 3 million to 5 million in the urban area should be fully open and wide-opened, and the key groups should be completely eliminated. Set-up restrictions; oversized and mega-cities should adjust and improve the settlement policy for points, significantly increase the scale of settlement, streamline the points project, and ensure that the social security payment period and the length of residence are the main proportion. It is worth noting that the requirements of the “Task” for the settlement conditions in large cities are significantly lower than in 2018. The National Development and Reform Commission issued the "Notice on Implementing the Key Tasks for Promoting New Urbanization Construction in 2018" issued in 2018, stating that the requirements for participating in urban social security years for large cities should not exceed five years, and that type II large cities are not allowed to settle in points. The city should further reduce the social security requirements; in the large cities of I type, the settlement of the points should greatly increase the weight of social security and the number of years of residence, and encourage the cancellation of the annual settlement limit. Super-large cities and mega-cities should distinguish between urban areas, new areas, and cities and counties under their jurisdiction, formulate differentiated settlement conditions, and explore the establishment of inter-regional transfer points and transfer of household registration channels. According to the city's scale classification standards promulgated by the State Council in 2014, cities with a permanent population of more than 10 million and less than 5 million and 10 million in urban areas are super-large and mega-cities. If you refer to the data of the urban population of each city in the 2017 Urban and Rural Construction Statistical Yearbook (Note: non-urban resident population), there are 4 megacities in China, including Shanghai (24,383,300), Beijing (187.66 million), and Shenzhen. (125.283 million) and Chongqing (1121.62 million); there are 5 megacities, namely Tianjin, Chengdu, Guangzhou, Nanjing and Wuhan. According to the above data of the Ministry of Housing and Urban-Rural Development, there are 10 large-scale I-type cities with an urban population of 3 million to 5 million, namely Xi'an, Shenyang, Harbin, Kunming, Zhengzhou, Hangzhou, Jinan, Qingdao, Dalian, and Changchun; There are 59 large-sized cities with -3 million types, including some second-tier cities and major third- and fourth-tier cities. According to statistics from Huachuang Securities, there are more than 75 cities in China that meet the urban resident population of over 1 million, including 8 super-large cities, 12 large I-type cities, and 55 large-sized cities, covering the mainstream first- and second-tier cities. And strong third- and fourth-tier cities. The total urban population of 75 cities is 220 million, accounting for 55% of the national total, and the residential sales area accounts for more than 50% of the country. The relaxation of the settlement system has weakened the restrictions on housing purchases to a certain extent, boosting the housing demand of first- and second-tier cities and strong third- and fourth-tier cities. Zhang Dawei, chief analyst of Zhongyuan Real Estate, believes that the liberalization of the settlement policy is conducive to the public resources of the cities that have already lived in the city. For the real estate market, there is also a stable market demand. In order to curb the skyrocketing housing prices, since 2016, many cities across the country have issued a purchase restriction policy based on household registration. For example, two sets of local households are restricted, two sets of foreign households can be purchased, or social security can be purchased for a certain number of years. Since the purchase restriction policy directly hits the investment behavior of real estate speculators, it has become a "tool" for stabilizing the real estate market. However, the loosening of the household registration policy has greatly reduced the threshold for purchasing houses, and foreigners have regained the qualification to purchase houses. The "Tasks" have different requirements for different types of urban household registration policies, and their impact on the real estate market of their respective cities is not the same. The "Task" requires that super-large and mega-cities should "improve the settlement policy of the points and greatly increase the scale of settlement." 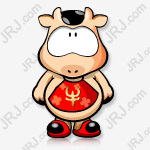 Take the Beijing Credit Settlement Policy as an example. The first batch of points settled in 2018, a total of 6019 people got the Beijing household registration. 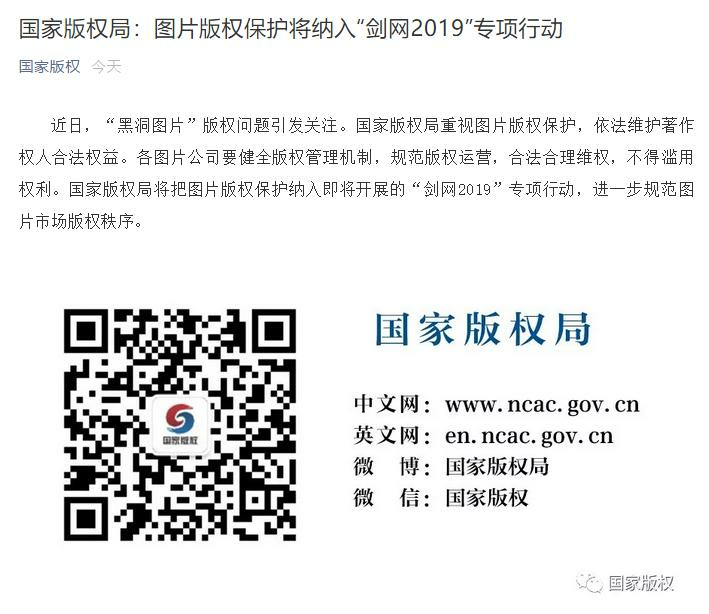 Regarding whether the "Task" will affect its settlement policy, the relevant person in charge of the Beijing Municipal Bureau of Social and Social Affairs recently said that the trial period of Beijing's current points settlement policy will not be "policy level" this year until December 31, 2019. Adjustment. The interpretation of the same policy research institute believes that the threshold for the settlement of first-tier cities has not been greatly affected by this policy. Some analysts pointed out that in the long run, Beijing-Shanghai's settlement policy may be relaxed, but in the short-term or difficult to adjust significantly, naturally it will not cause much disturbance to the local market. In comparison, according to the requirements of the "Tasks", the settlement policies of Type I big cities and Type II big cities are more relaxed. Yan Yuejin, research director of the Yiju Research Center, said that the demand for home purchases in the second and third tier cities will increase significantly due to the settlement policy. Especially in combination with the recent “Xiaoyangchun”, it is expected that the follow-up market sentiment will continue to improve. More home purchase needs. “The relaxation of the standard of talent settlement has a great impact on second-tier cities. Many people are willing to go to second-tier cities to buy houses,” he said. The same policy institute pointed out that the relaxation of the settlement policies of second-tier cities will greatly stimulate the inflow of urban population, especially the entry of young people, which will bring many benefits to the real estate market of second-tier cities, which is an important guarantee for the sustainable development of cities. . The population inflow effect will also affect the subsequent market layout of major housing companies. Among the large-scale cities of the city with a resident population of 1 million to 3 million, many third- and fourth-tier cities are included. The above-mentioned research institute believes that relaxing the settlement conditions at this stage is of great significance to the destocking of most third- and fourth-tier cities. In addition to household registration, the talent introduction policy that has blossomed everywhere allows young people with certain academic qualifications and vocational skills to get “room tickets” more easily. On April 3, Hangzhou City proposed that full-time university specialists and above who work in Hangzhou and pay social security can settle directly. Previously, Hangzhou’s settlement policy required that undergraduate talents under 45 years of age and undergraduate students under 35 years of age should live in Hangzhou for one year or more and continue to pay social insurance for more than one year (excluding reimbursement). A Hangzhou government official close to the policy formulation told Zhongxin Jingwei that Hangzhou's policy of loosening talent introduction is the general trend. This policy is expected to be officially implemented at the end of April and early May. According to statistics from the Central Plains Real Estate Research Center, as of now, there have been more than 50 cities that have introduced various talent introduction and settlement policies, and the strength and quantity have set a new record. Especially in the second and third tier cities, policies such as talent settlement and housing subsidies can be described as “blowout”. Zhang Dawei told Zhongxin Jingwei that the talent policy disguisedly lowered the threshold for purchase restrictions and pushed talents into the real estate market with tight supply and demand structure, which brought rising expectations. In the past two years, housing prices in many cities in the country have rebounded, especially in some second-tier cities. The main reason is that the new policy of disguise has relaxed the purchase restriction policy. Huachuang Securities believes that the role of the new talent policy in promoting the release of demand for home purchases cannot be ignored. According to the agency, in 2017, the growth rate of household registration population in Nanjing, Hangzhou, Wuhan and Xi'an reached the peak of nearly five years, and the growth rate of new talents was 4-6 times of the growth rate of urban natural population. If it is assumed that the demand for new home ownership is realized within one, three, and five years (90 square meters per set), the annual average purchase demand will affect 78%, 26%, and 16% of the commercial housing transactions in 2017, respectively. In the third quarter of 2018, the effects of real estate regulation began to appear in a comprehensive way. Many cities, including first- and second-tier cities, experienced significant cooling, and house prices in some areas also fell back. However, the rumors of the loosening of regulation and control have been exposed, and accompanied by the relaxation of the settlement and the introduction of talent introduction policies. The same policy research institute believes that stable land prices, stable housing prices, and stable expectations are the main tone of real estate regulation in 2019. In the downturn cycle of the property market, in order to maintain the stability of the property market, cities will fine-tune policies according to regulatory needs and moderately relax restrictions. Prevent the property market from going down too fast. However, as a whole, policy continuity is still maintained, and it is difficult to achieve substantial relaxation. For some strong second-tier cities, it is necessary to prevent housing prices from rising too fast, and to prevent regional housing prices and land prices from falling. The general second-tier cities have become colder last year, and some city stocks have re-emerged. Based on this, policies will be more Big adjustment power. Zhang Dawei believes that the threshold for talent introduction in some cities is too low, not to attract talents, but to attract buyers. This is easy for the market to cause irrational judgment. The local talent policy should not be linked to real estate purchase restrictions, and should provide direct residence for talents. Xie Yifeng, dean of China Urban Real Estate Research Institute, pointed out that in the process of policy implementation, it is necessary to take into account the normal living needs of newly settled citizens, and also balance the relationship between talent introduction, household registration reform and stable real estate market. For population or talent inflow areas, land supply should be increased, and policy housing supply such as affordable housing, shared property housing, public rental housing, and affordable housing should be increased to ensure a stable market. Xinhua News Agency issued a short commentary on the evening of the 10th. The "2019 New Urbanization Construction Key Tasks" recently issued has relaxed or improved the conditions for the settlement of large cities and super-large megacities. Relaxing the conditions for settlement does not mean relaxing the regulation of real estate. Only by insisting on the positioning of “staying and not speculating” and improving the housing market system and housing security system can we effectively reduce the housing threshold of the population settled in the city and strive to achieve a living, so as to fully accept the settled population while preventing the house price from rising too fast. Exports in March increased by 21.3% year-on-year, exceeding expectations. The surplus in the first quarter expanded by 75.2%. Chinese tourists have grown by nearly 60%. The ancient city "stunned" the Prime Minister and the Ministry of Foreign Affairs. This data shows! The most worrying thing is still happening! From a car difficult to the sales plummeted Jaguar Land Rover into a dark moment? European Southern Observatory: Visual China has never contacted us. 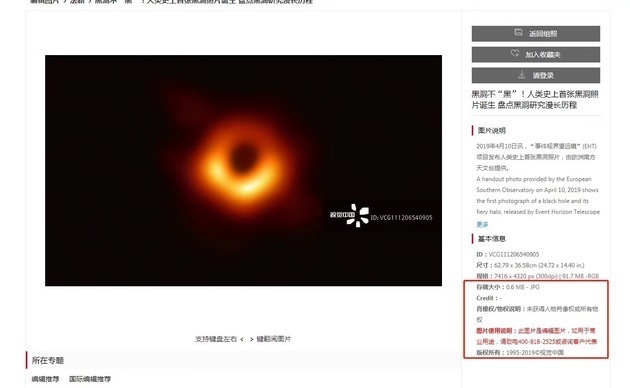 We have no right to sell black hole copyrights.